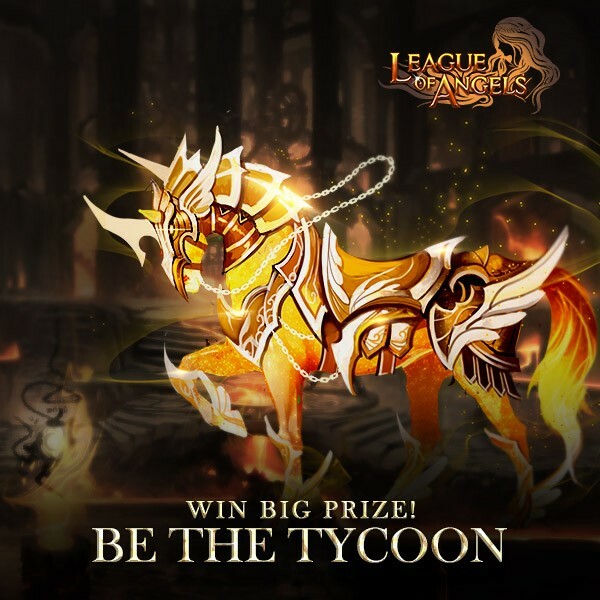 Description: Collect the required resources to win Luminous Steed, Demeter, Sunniva, and many other rare items! Please note that we have newly added Awakening Stone Tycoon for Previous servers which has been opened more than one month (S1 to S696). Hope you will like it. - Players gain points by collecting required resources during the event, i.e. Angel Tears, Runestone, Blessed Stone, Seraph's Stone, Aegis Shard, Soulstone, Gold, Element Crystal, Enchanted Stone, Gems and Gem Enhancement Stone. 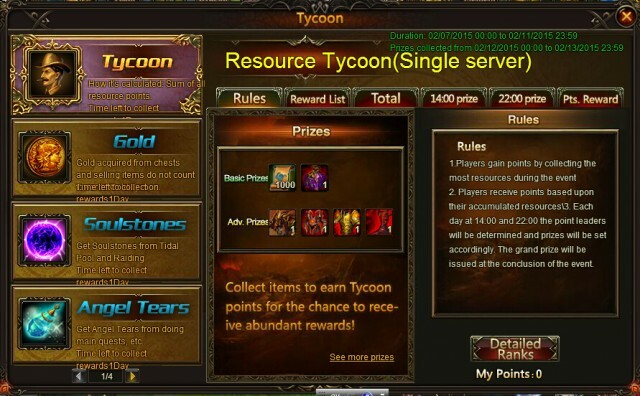 Description: Reach certain tycoon period point to get great rewards. Rewards of servers newly opened within one month differs from those of previous servers. More exciting events are coming up through Feb 7 to Feb 11. Check them out in the in-game Hot Events menu now!